We live in an age where GPS navigation systems have made it easy for us to navigate the streets, but every once in a while even the smartest and most advanced navigation systems can leave us wanting for more. We’ve all been there, slowly maneuvering the car through a dense neighborhood when the navigation system announces “Turn left in 300 feet,” or “Head east on X street.” Unlucky and without a human copilot, drivers are often forced to peer through the windshield and ask themselves “Is it this way? Turn here?” Confusion settles in as the navigation system can’t hear us, and we’re left guessing, lacking direction. Apparently, this problem is persistent in a country like Japan (with very little streets and monotonous houses) and now two Japanese companies may have come up with a solution. Enter Mitsubishi Motors and Mitsubishi Electric. Detection is the biggest challenge for the system as it has to filter out comments by backseat drivers whose comments are not worthy of computerized assistance. If any impatient passengers even dare to ask “are we there yet?” Mitsubishi’s artificial intelligence wisely remains silent. The most impressive (and core) feature of this robotic brain is the ability to detect where the driver is looking. Another urban survival tool was also demoed ahead of the Tokyo meeting: small cameras that are mounted into the nose of the car that can indicate to the driver if the road is clear when exiting a garage or narrow alleyway. Once again, these small cameras and corresponding monitors are engaged via the driver’s eye movement. 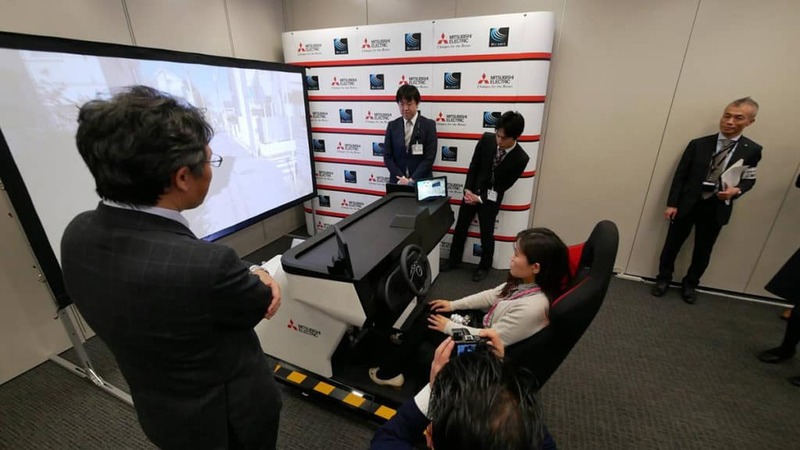 Both of these new technologies are part of Mitsubishi Electric’s compact artificial intelligence technology for smart mobility. Instead of doing away with the driver altogether, this latest technology works just like any other Advanced Driver Assistance Systems and is tasked with assisting the driver with as much possible. For the time being only Original Equipment Manufacturers or component manufacturers have access to purchase this thriving tech. Mitsubishi is slated to only license the technology for the foreseeable future, but who knows if the automaker is planning to make this feature a staple in their vehicles? The current Mitsubishi lineup offers plenty of tech-inclined features for those interested. Explore the latest Mitsubishi inventory here at University Mitsubishi and schedule your test drive today! Follow University Mitsubishi on social media for the latest automotive news.